Receiving shamanic healing from a shamanic Practitioner can bring your spirit body into harmony – a harmony that radiates through your entire Mind-Body-Spirit being. With soul retrieval, soul loss can be restored. With Extraction Healing, your spirit body is cleansed of 'other' energies. And with a complete healing program, your feeling of balance can be restored. Have you been bouncing around from healer to healer looking for help? Many people try different methods for healing of spirit before giving shamanism a try. How can I satisfy this spiritual hunger? How to get the answers to your questions about life. How to get relief from negativity. And how shamanic healing helps you to feel strong and happy. Learning to journey gives you a way to go directly to your spirit helpers for the answers to life’s nagging questions. No more floundering in a sea of confusion. You have a source for answers that is always available. You become the Shamanic Practitioner. The beauty of the journey is that it goes straight to the solution. Journeying is not hoping or waiting for an answer to come. Journeying goes directly to someone who wants to help – your spirit ally. You are welcome to join me in workshops where you can begin to learn the journey or deepen and expand your abilities. 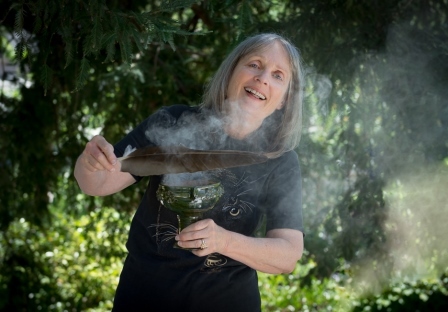 Shamanic healing and personal shamanic practice are gaining a following as interest in shamanism in America today grows. I welcome you to Adventures In Shamanism, a site where you can explore shamanism intellectually and get a feeling for shamanism as a way for you. On the Facebook page, information about shamanism, ancient people, workshops, and the shamanic community is shared. Check it out! Welcome to the Elk Grove Drumming Circle. this workshop combines the best of the Drumming Circle and Camping! Click to register for Camps.